Join Us For This Exciting Demonstration Workshop! Bring a sack lunch or plan to visit nearby restaurants. 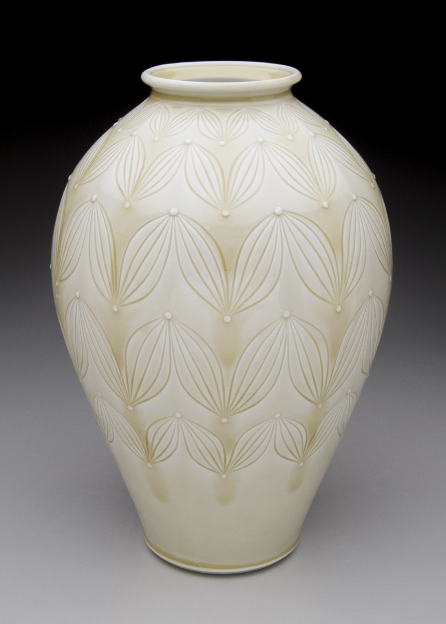 In this two-day workshop Adam Field will demonstrate his methods for carving intricate pattern on a variety of wheel-thrown porcelain forms. 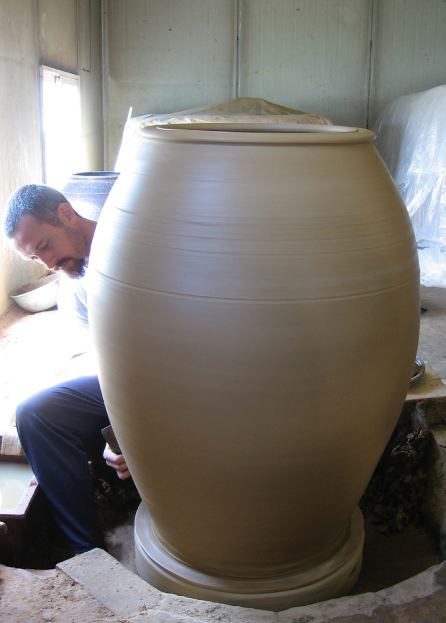 He will also demonstrate traditional Korean Onggi coil and paddle pottery techniques. 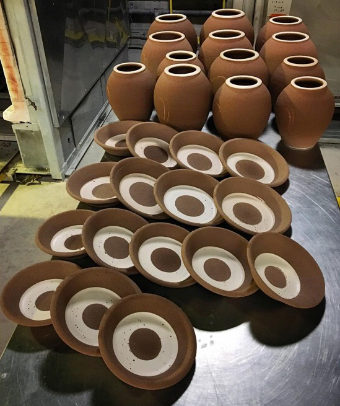 From ancient Korean techniques, to innovative solutions for timeless problems, participants will develop a new perspective on creating and decorating functional pottery. 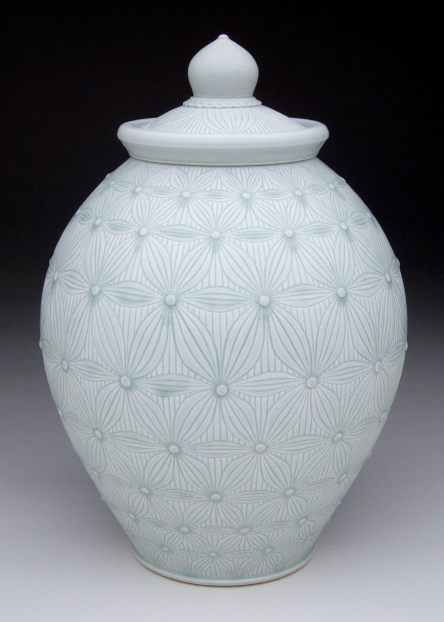 Participants will learn new skills for mapping out and carving geometric patterns in clay. 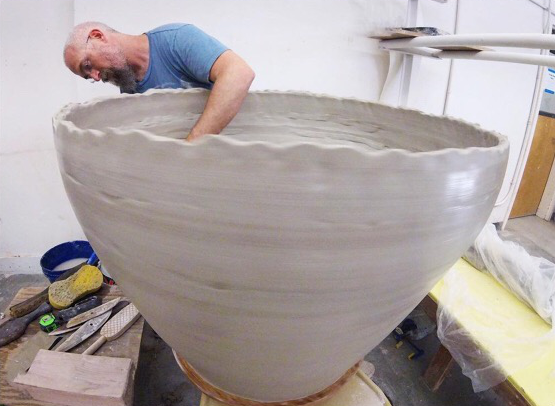 Generous discussions about studio practice, aesthetics, materials, ceramic history, and promotion and marketing strategies for the studio potter are certain to encourage individual discovery, growth, and development of fresh ideas. Participants will gain the skills and confidence to create and decorate work in their own voice. 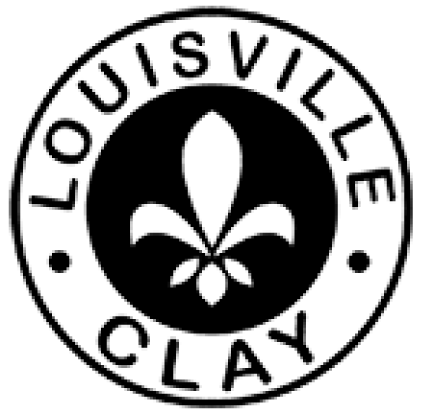 Where clay and community meet! in the culturally rich art scene of the San Francisco Bay Area, where he began his full time studio practice. From there, he relocated to Maui, where he established a thriving studio business. He spent most of 2008 in Icheon, South Korea, studying traditional Korean pottery making techniques under 6th generation Onggi master Kim Ill Maan. In 2013 he created and premiered HIDE-N-SEEKAH at the NCECA conference in Houston, TX. 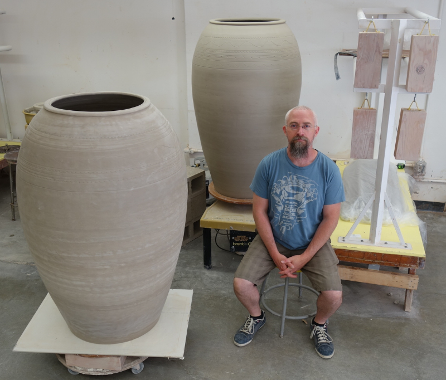 After maintaining his studio in Durango, CO for 5 years, Adam moved to Helena, MT in 2013 where he was a long-term resident artist at the Archie Bray Foundation for Ceramic Arts. 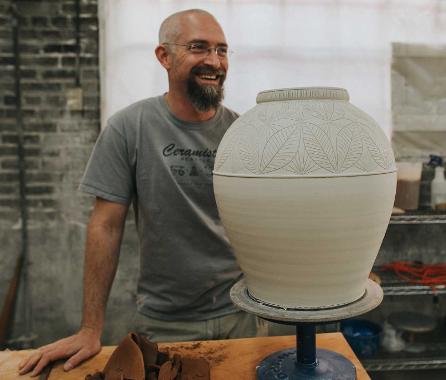 Adam is now a full time studio potter in Helena, MT. 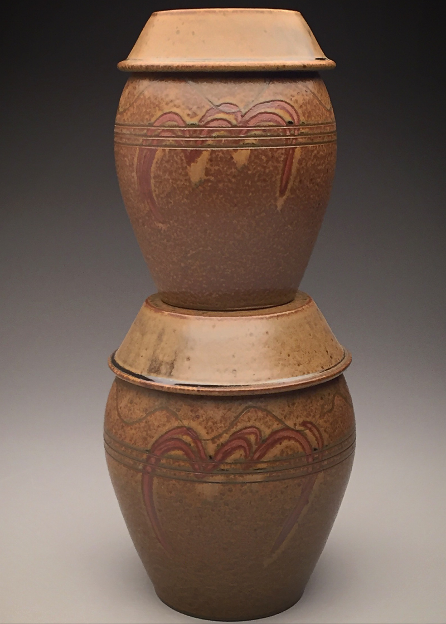 His Works are included in private collections and kitchen cabinets internationally.